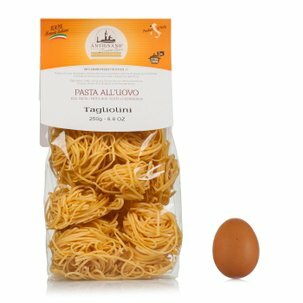 The Tajarin with Enkir Flour is made using the high quality enkir grain and eggs originating from selected farms. 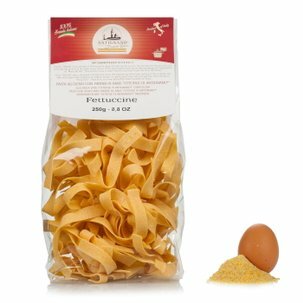 This particular flour is obtained through a careful selection of the grains, which are then milled pure on a natural stone. This particular type of milling does not heat up the grain during its transformation, and makes it possible to maintain all the nutritional and sensorial characteristics of the product. 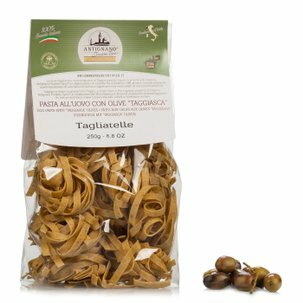 Antignano has selected the most ancient grain to guarantee you flavour and well-being! 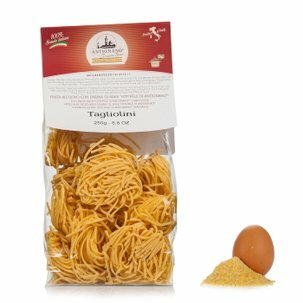 Ingredients organic Enkir monococcum flour (triticum monococcum) from Mulino Marino di Cossano Belbo (CN), eggs 20%. Allergens: contains gluten and eggs. For more information on product labels, please contact our Customer Service department. The information on the labels of the products may vary for reasons beyond our control, therefore, there may be discrepancies between the information on the site and that on the products delivered. Please always check the information on the product before consumption or use.